At elevations above 6,000 feet on north/east aspects, several persistent slabs can be identified with stress testing. Currently, shear failure of these slabs results from moderate to hard force being applied. The shear planes are smooth (Quality 1) but with only partial to no propagation. A variety of crystal forms are involved with these failures. Given this interesting variability in the snowpack, do not pass up the chance to dig a pit and learn more. You will not regret it. Travel advice is segregated out of necessity, by elevation and aspect. 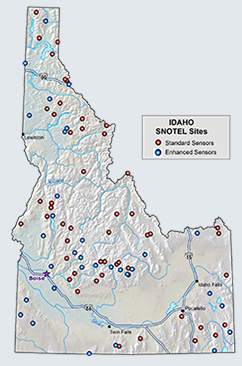 Below 6,000 feet and on solar slopes, snowpack conditions are generally safe. Here normal precautions will serve the backcounrty traveler well. Above 6,000 feet and on shaded slopes, snowpack conditions are quite variable. Here the backcountry traveler should be performing their own snowpack investigations. What they will find, as I did yesterday, are snowpack conditions that change significantly by elevation and location. Given this variability, travelers should exercise extra caution in their travel and recreaton strategies. Pay attention to obvious signs of instability. Yesterday I visited Upper Hawkins Lake 6,800 feet elevation in the Purcell Range 52 air miles northwest of Libby. 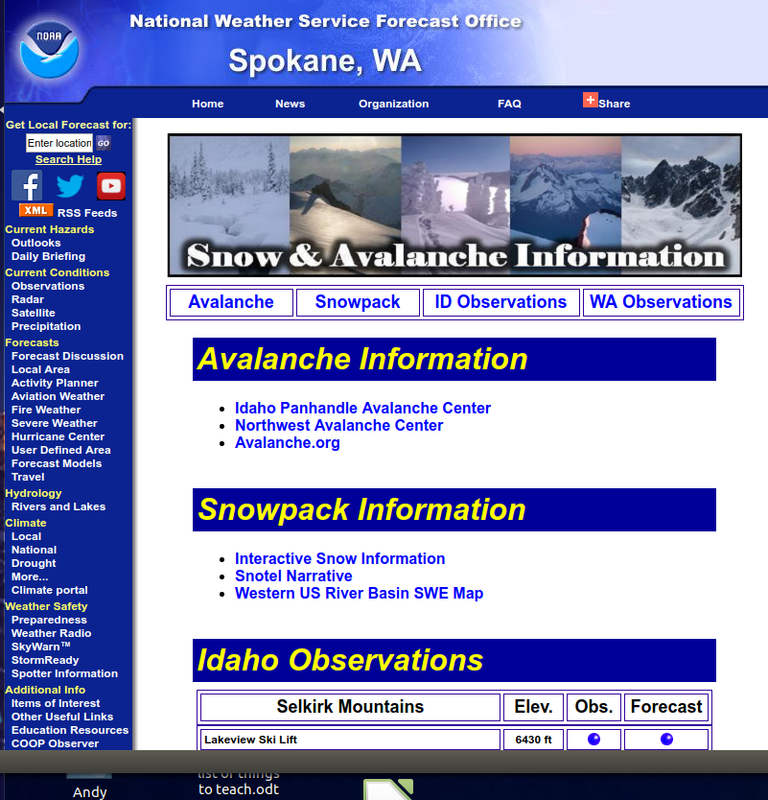 There I encountered a 56 inch deep snowpack on a steep northwest aspect. The top 5 inches was very soft new snow from the February 26th and March 2nd storms. Below that is a 2 inch thick knife hard crust overlaying a 4 inch thick 1 finger hard slab. Below this is a 4 inch thick knife hard crust overlaying a 6 inch thick pencil hard slab. Another pencil hard slab 7 inches thick sits on a 8 inch thick knife hard crust. This last crust is almost imposssible to penetrate with an avalanche shovel. Snowmobile and ski penetration is 4-6 inches and boot penetration is 8-10 inches. Extended Column Tests resulted in four different layers that fractured either without propagation or partial propagation. Layer 1 is located at 47 inches from the ground and fractured without propagation with moderate force (ECTN12). Layer 2 is located at 43 inches from the ground and partially propagated with moderate force. Layer 3 is located at 35 inches from the ground and also fractured without propagation (ECTN22) . Layer 4 is located at 28 inches from the ground and fractured without propagation using hard force (ECTN27). No other results were observed in the remainder of the column.